GenderBent OC's ^.^. All my OC's genderbent. ((Nye: Why am I wearing bunny ears?)) CAUSE I کہا SO. HD Wallpaper and background images in the Young Justice OC'S!!! 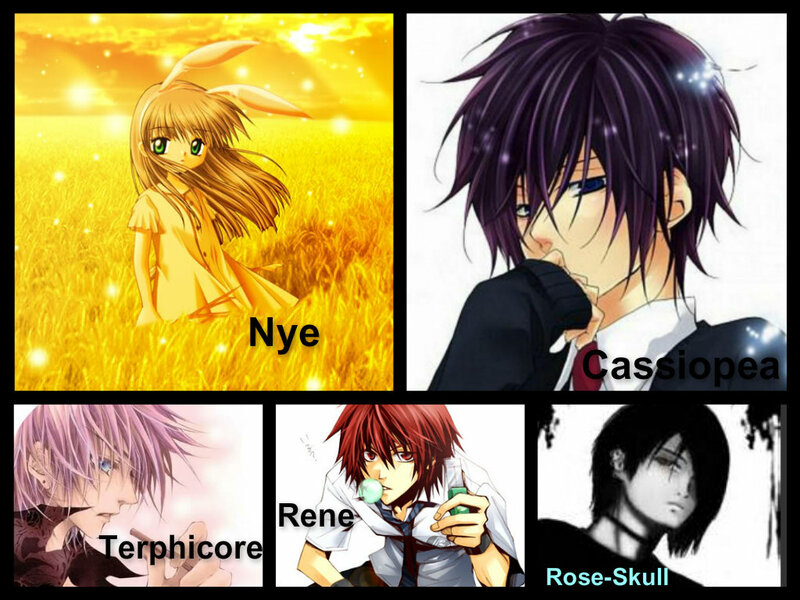 club tagged: oc young justice nye rene cassiopea terphicore rose-skull genderbent glitterpuff. This Young Justice OC'S!!! photo might contain پورٹریٹ, آرچر, closeup, تصویر, ہیڈشوٹ, ڈاؤن لوڈ ہونے والے, مزاحیہ کتاب, منگا, کارٹون, ہالی ووڈ, and کامک بُک.